As a parent, are you constantly worried about the health of your child? If yes, then why do you let your child drink from a plastic water bottle every day? We all know very well that plastic is not only deteriorating our environment but is also hazardous to our health. Plastic can undeniably the worst side effect of our modern lifestyle and technology. Plastic water bottles are one of the major sources of pollutants responsible for land and water pollution. And not only this, the water stored in these plastic water bottles is toxic in nature as harmful chemicals from the bottle leach into the water over the span of time. BPA or Biphenyl A is a chemical which is commonly found in plastic water bottles. It mimics estrogen and may interfere with the hormonal cycle of the body. It may cause complication in expecting mothers and affect the health of the fetus. It may also lead to obesity, diabetes, fertility problems and early puberty. When exposed to direct sun or heat, plastic bottles produce dioxin, which can increase the chances of breast cancer. Water stored in plastic water bottles often contains arsenic, fluoride, and aluminum, which makes it just as bad as a slow poison. Phthalates present in plastic may lead to liver cancer and reduced sperm count. Now that we know how bad plastic water bottles are, what can we do to protect our children as well as our loved ones from consuming this slow poison? Metals such as copper are a great alternative to plastic. 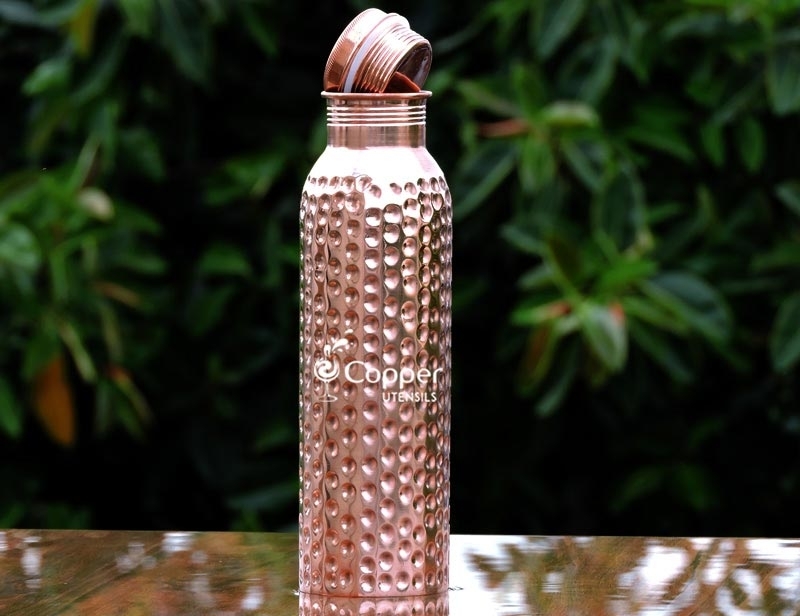 Copper water bottles are an affordable and sustainable option to use instead of plastic ones. As compared to plastic, copper adds various health properties to the water making it healthier. 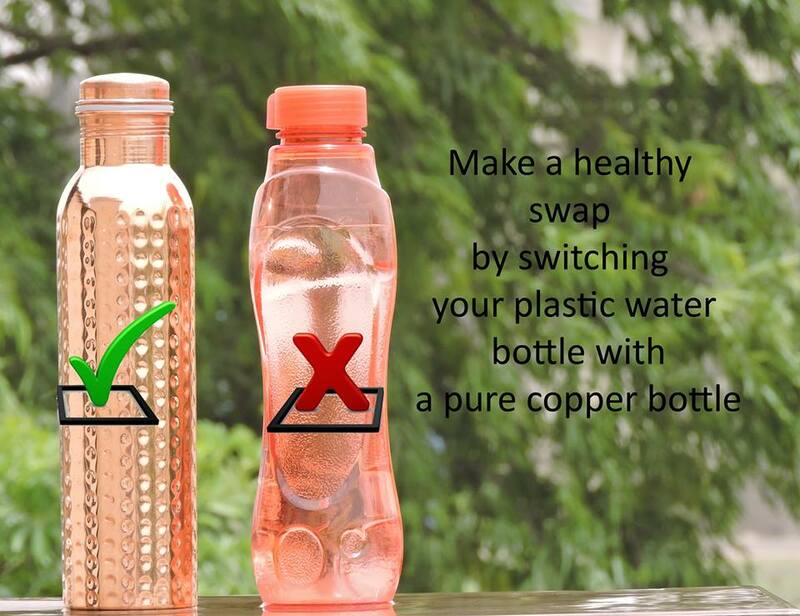 Copper water caries a number of health benefits which you can never get from plastic bottles. In fact, the ancient medical science, Ayurveda, also suggests drinking water which has been stored in a copper vessel overnight. It stimulates the brain and enhances its working. A daily dose of copper water helps with minimizing the effect of aging and its anti-oxidant properties fasten the cell renewal. Boosts immunity and speeds up the healing process. The anti-bacterial nature of copper helps with purifying the water by killing all the bacteria present in it. It is also said that copper water promotes weight loss as well.